Collectors might prize even a certificate for shares that are now worthless. Old stock certificates shouldn't be simply thrown away. They can still have value if they represent an existing or merged company, or if they are valued as collectibles. 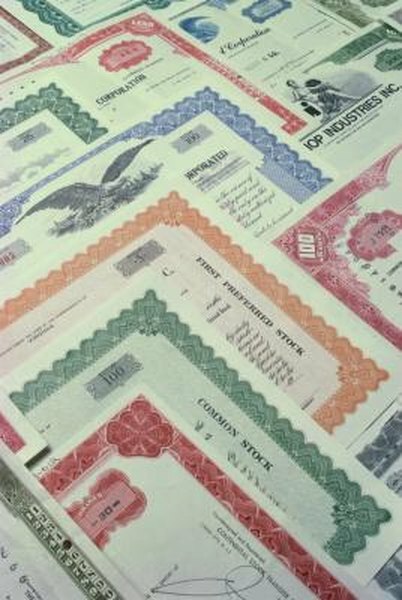 A little bit of research can help you determine the worth, if any, of your old paper stock certificate. Determine whether the company is still traded on a stock exchange. This can be done by searching major financial websites. If the stock has split over the years, the amount listed might not be the amount your certificate is worth. Contact the stock certificate's transfer agent, who is responsible for keeping records for stockholders. The agent is listed on the certificate itself. Contact the state agency that handles incorporations if the transfer agent no longer exists. The proper state is the one where the company originally was incorporated. Search the company's history if none of the earlier steps work. Sources of company histories include the Capital Changes Reporter, Moody's Manuals and the U.S. Library of Congress. Contact the new company's investor-relations department if a search of the company's history reveals that it merged or was acquired by another company. Contact your stockbroker to search the stock's worth via its CUSIP number if the steps given earlier yield no results. This number is printed on the back of the stock certificate. Use a fee-based service to search your stock's history if the earlier steps come up empty. Fees can range from $40 to $85 or more. Determine the collectible value of your certificate if it no longer has stock value. A stock can have worth based on who signed it, historical interest, or the engraving. This value can be found by contacting dealers, researching libraries, or searching listings on eBay. How Do I Cash Unclaimed Stock Certificates?